The Warriors spent all season strutting around the NBA with their chests puffed out, telling anyone who would listen that they were better than the elite teams of the past, were horny for trophies, and had successfully re-engineered basketball from the circuits up to create a new, unforeseen way of playing the game with both efficiency and beauty. They cast themselves as Silicon Valley’s team, a squad that overcame the physical limits of basketball with thinkovation and synergy. Of course, for all the legitimate history they made this season, they got exposed in the NBA Finals and ended up on the wrong side of the greatest comeback in Finals history. Lacob said the Warriors intentionally lead trends only to look for the next — almost a prerequisite for anyone in Silicon Valley business. He said the Warriors were the reason for the higher market cap for what teams could pay for players. The projected salary cap for the 2016–17 season rose on Tuesday to $94 million, according to Sports Illustrated. This idea of “forward thinking” away from the current trend of “small” could potentially point to the widely rumored idea that the Warriors are working to acquire free agent shooting forward Kevin Durant. Lacob dodged questions about the reports that the team is making efforts to acquire him. This is some Silicon Valley hogwash. The Warriors didn’t invent smallball, and they won 73 games because they were led by a fiery dickpuncher who refused to let them rest during the regular season and maybe the greatest shooter of all time. Curry was drafted during the reign of another owner, and Lacob can’t chalk his revolutionary shooting abilities up to any organizational mantra he synergized into the Warriors’ corporate culture. If the Warriors played in another city and were owned by mega-rich dudes from another industry, they wouldn’t get these “Team Of The Future” accolades, they would simply be regarded as a very good team with very good players who choked at the wrong time. 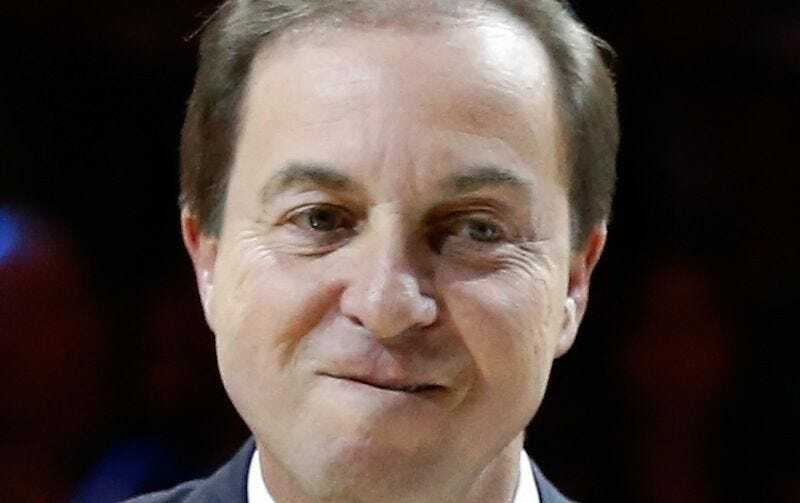 Joe Lacob, please chill out.